Who doesn't have the blue tin of Nivea Creme in their dressing table? Almost everyone else on this planet has grown up using Nivea creme in their household and it's no wonder because Nivea Creme has been around for more than 100 years. 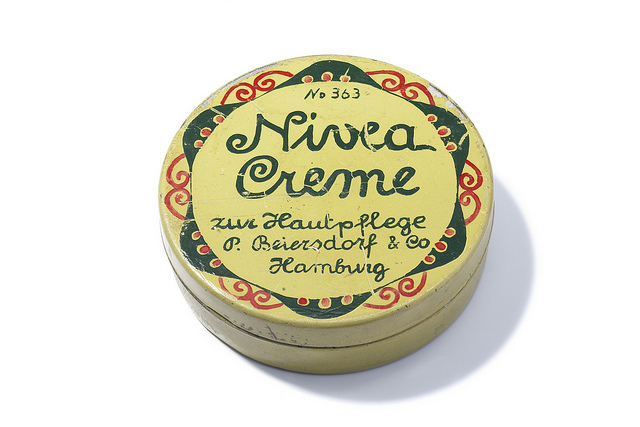 See the original packaging of Nivea Creme in 1911. Hydroxycitronellal, Linalool, Citroellol, Benzyl Benzoate, Cinnamyl Alcohol, Parfum 1. 3. Moisturizing - it contains eucerit, a unique moisturizing agent. 4. Paraben free - parabens are most widely used preservatives in cosmetics and personal care. 1. It moisturizes the skin - because of eucerit. 2. It soothes and calms the skin - because of panthenol. Panthenol promotes wound healing, reduces itching & inflammation and improves skin hydration. 4. Makes the skin glow. Nivea cream cares for and protects all skin types from skin dehydration because of its rich formula. 1. Dip finger in Nivea cream. 2. Rub the skin with cream liberally and evenly on face, hands, and body. 3. Apply daily to keep skin soft and supple. I am pretty sure, almost every one of you is familiar with the all-purpose uses of Nivea cream. In fact, it can be used by the whole family. I thought of posting the many uses of Nivea cream because a tin can of 150 ml at Watsons costs Php 234.00 only and I think it's good value for money. 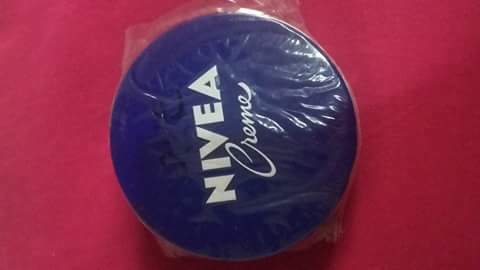 Face moisturizers cost a lot and this tin can of Nivea cream is an all in one package that can serve the many skin care needs of the family. For those who have oily skin like me, I suggest that you use a smaller quantity, when applying it on your face. For us midlife women, it is best to use it at night as an over night cream and in the morning when you wash it off, you'll feel how soft & supple your skin is. You can follow this simple skin regimen before you retire for the night and call it a day. 1. Wash your face with your favorite facial soap or gentle skin cleanser. 2. Use toner to complete the cleansing of your skin. 3. Apply Nivea cream and leave it on overnight. That's it folks. I hope this article rekindles your fondness for our good ol' Nivea cream!